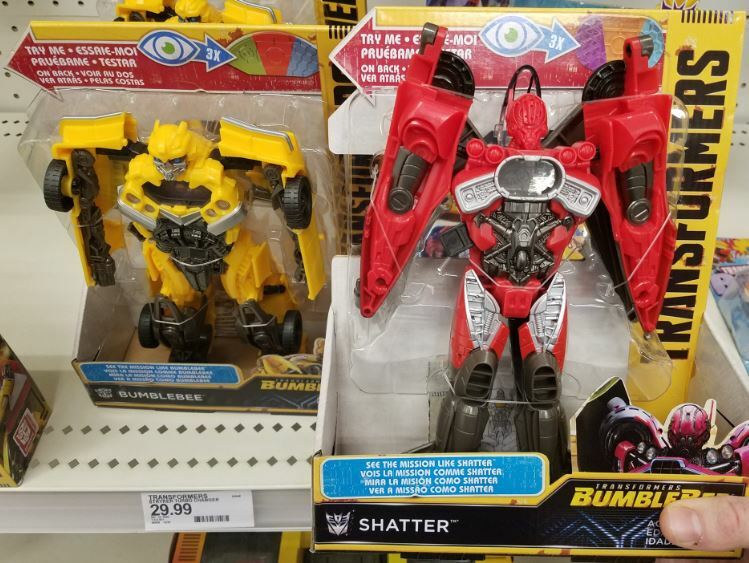 There is plenty of movie merchandise still landing on shelves at retail, and today we can add the Mission Vision Bumblebee and Shatter figures which we first revealed last month to that list thanks to the Bloomington, MN Target recon of TFW2005 member T-Hybrid. Remember to bring your sightings news to the 2005 boards! I misread the signs – obviously – I thought those long structures were the side of the car and you can see what looks like wheels and there isn't much jet kibble visible in the 1st post. Well I guess the Shatter serves as a companion piece for the Titan Changer type one with the jet mode – as this one is a similarly simple toy only with a car mode.